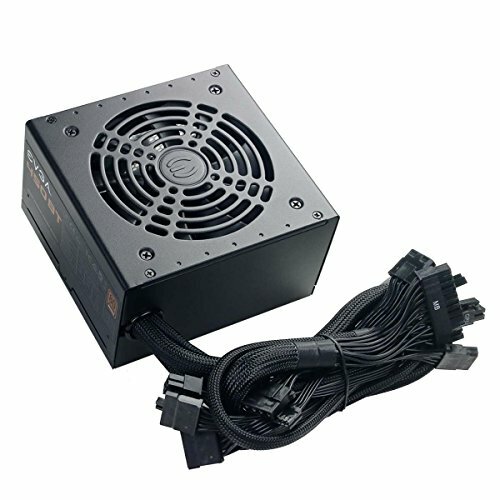 Nice PSU, black cables. Good value. 450W and an 80+ Bronze certification. As of right now its holding up nicely but with its cheap price it makes me wonder when my system is going to blow up. Little underpowered but does its job. 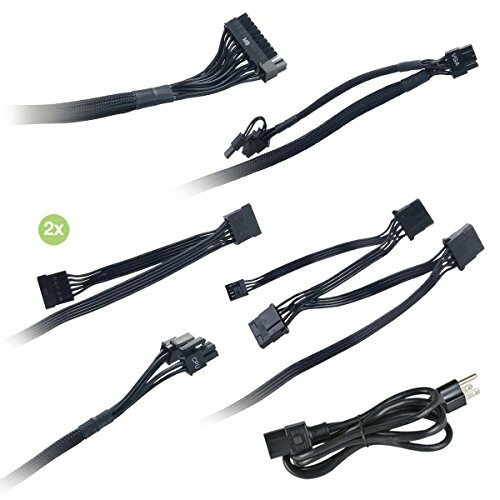 Works great, Virtually silent, Sleeved cables. 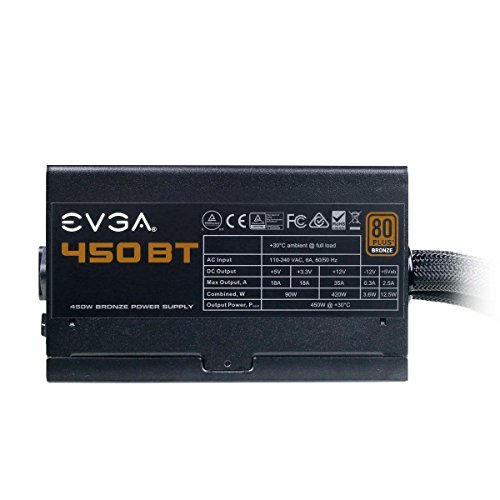 For a non modular PSU build I highly recommend this PSU. Its a power supply, what can i say except that i forgot to send in the mail in rebate form when i bought this. but if you have a low wattage cpu and are planning on going with a 1050 ti then you should be fine. But otherwise forget this and get a 550 or 650.
from completed build Junk Yard Dog. The Ebay Oculus build. I really like this cheap psu. It is quiet and easy to work with. The cables are still way to long to say it's perfect for a budget mini itx build. Still bulky but just under $22 and 80+ bronze makes it hard to pass up. It's cheap. 4 stars. It's EVGA. Cheap price, 24/7 Support, Sleeved Cables. 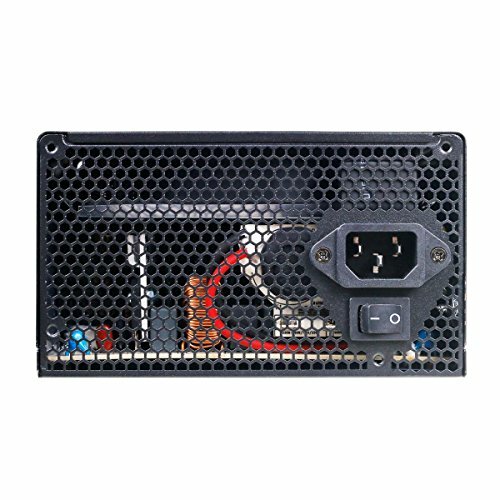 The best 450W power supply out there if you can get it on sale/deal. 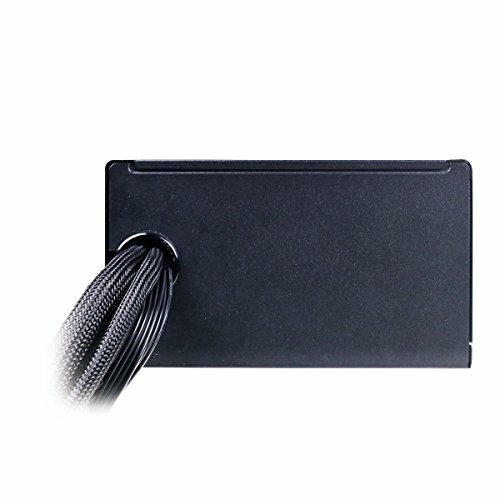 Non modular but all cables are sleeved and black. No more ketchup and mustard colored cables. Enough for at least an overclocked i7 plus a GTX 1060. 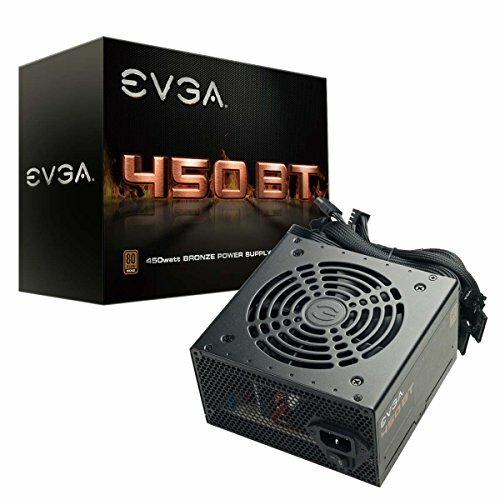 Has everything you need for a budget entry level or mid range system build.